I always love the restaurant weeks that are around town. It's a great way to explore new neighborhoods, or rediscover the ones you've previously forgotten about. Not only that, but restaurant week allows you an opportunity to try some bites at places you either 1. couldn't usually afford or 2. you wouldn't normally try. Menus are prix-fix and start at $15 for a 3 course dinner. Trust me when I say it can't be beat! 1. 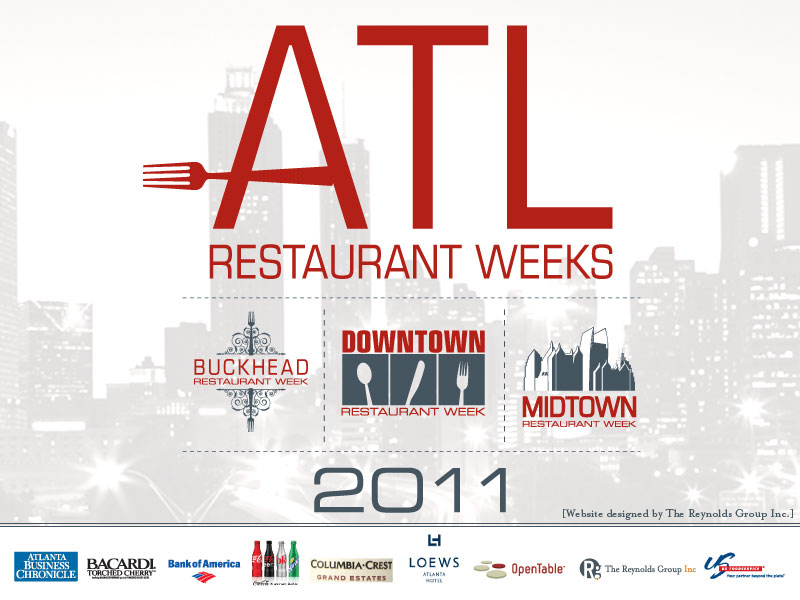 Midtown Restaurant Week (Saturday, August 27-Sunday, September 4th): This list is certainly EXTENSIVE this year. In fact, it seems as though the term "midtown" is used loosely as participants include the West Side's Abbatoir (an aptly named meathouse) & Inman Park/O4W's Serpas (one of our favorite random finds). The list is long, friends, so find something, anything to try. I'm struggling to decide which we'll enjoy! 2. Inman Park Restaurant Week (Monday, September 19th-Sunday, September 25th): Benefiting the Atlanta Community Food Bank, Inman Park's week has never disappointed me...mostly because it was how we first discovered Wisteria, one of my favorite places to eat in the entire city. Restaurant week Inman Park style gives you the opportunity to explore some very high-end restaurants at some very reasonable prices. $25 gets you a date night at Rathbun's, and an extra $10 gets you a top of the line piece of meat at Rathbun's Steak. For cheaper thrills you can hit up Sauced or Fritti both serving a $15 menu. Get out over the next few weeks to try some new bites. The cooler evenings beckon for a night on the town, and restaurant week is the frugal way to do it. Remember to make reservations early, and keep in mind that most restaurants offer their full menu during the week if you're not feeling the 3 course deal. Hey Nicole! 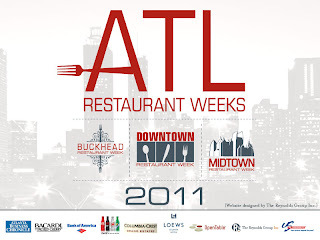 What are your top three suggestions for Midtown Restaurant Week? I'm struggling to decide, too. Abattoir is an obvious front-runner, but you don't seem to get much with their menu. 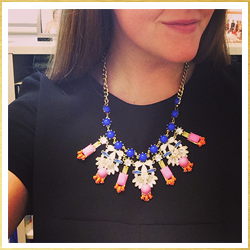 Love the blog btw! Thanks! Abattoir would be fun, but I agree that the menu is just blah. I hope that helps!